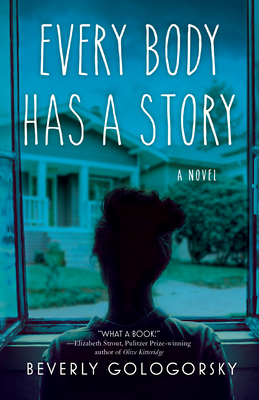 Join us at Book Culture on Columbus as Beverly Gologorsky discusses her new book, Every Body Has a Story, on Tuesday, April 16th at 7pm! Pulitzer Prize-winning author Elizabeth Strout will be joining Beverly in discussion. As the Great Recession and the foreclosure crisis hit, four close friends who barely made it out of poverty in New York City's South Bronx, suddenly find themselves caught up in the economic maelstrom. Lena, Zack, Dory, and Stu must reconcile their troubled past with an uncertain future in Beverly Gologorsky's stunning new novel, a tapestry of working-class life in a world on the brink. Beverly Gologorsky is the author of two acclaimed novels, The Things We Do to Make it Home. a New York Times notable book, and Stop Here. Her work has appeared in anthologies, newspapers, and magazine, including the New York Times, the Nation, and the Los Angeles Times. Elizabeth Strout is the #1 New York Times bestselling author of the forthcoming (Fall 2019) novel Olive, Again; the Pulitzer Prize-winning Olive Kitteridge; Anything Is Possible, winner of The Story Prize; My Name Is Lucy Barton, longlisted for the Man Booker Prize; The Burgess Boys, named one of the best books of the year by The Washington Post and NPR; Abide with Me, a national bestseller; and Amy and Isabelle, winner of the Los Angeles Times Art Seidenbaum Award for First Fiction and the Chicago Tribune Heartland Prize. She has also been a finalist for the National Book Critics Circle Award, the PEN/Faulkner Award for Fiction, the International Dublin Literary Award, and the Orange Prize. Her short stories have been published in a number of magazines, including The New Yorker. Elizabeth Strout lives in New York City.